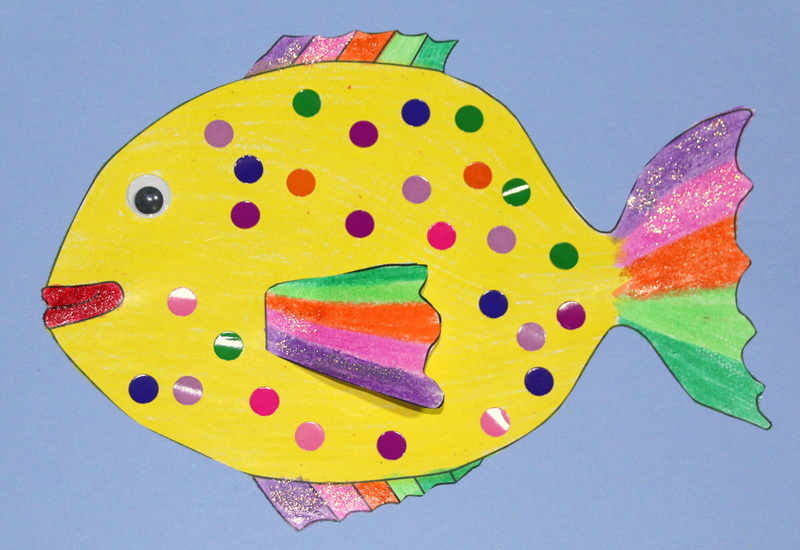 Rainbow Fish Colouring Craft for Kids with free printable template. 1. Print off the template (below pdf or jpg) onto the white A4 paper or card. 2. 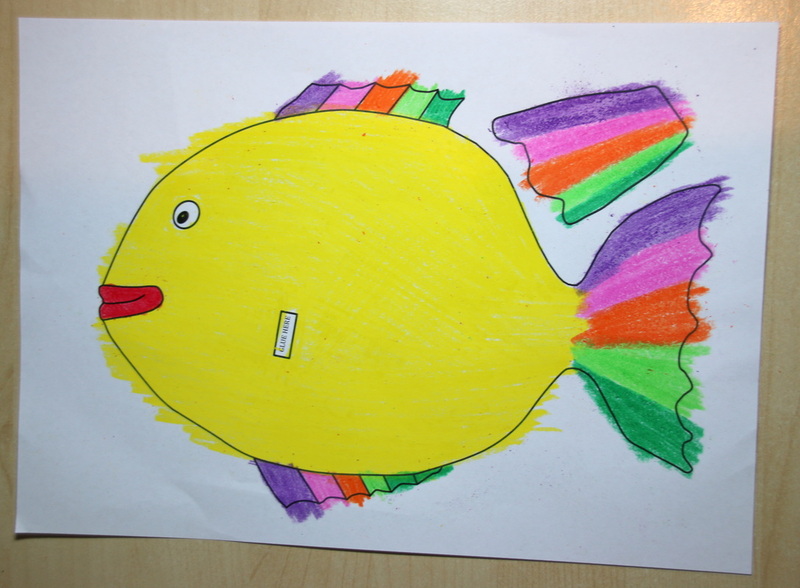 Colour in the Fish and it's fin. 3. 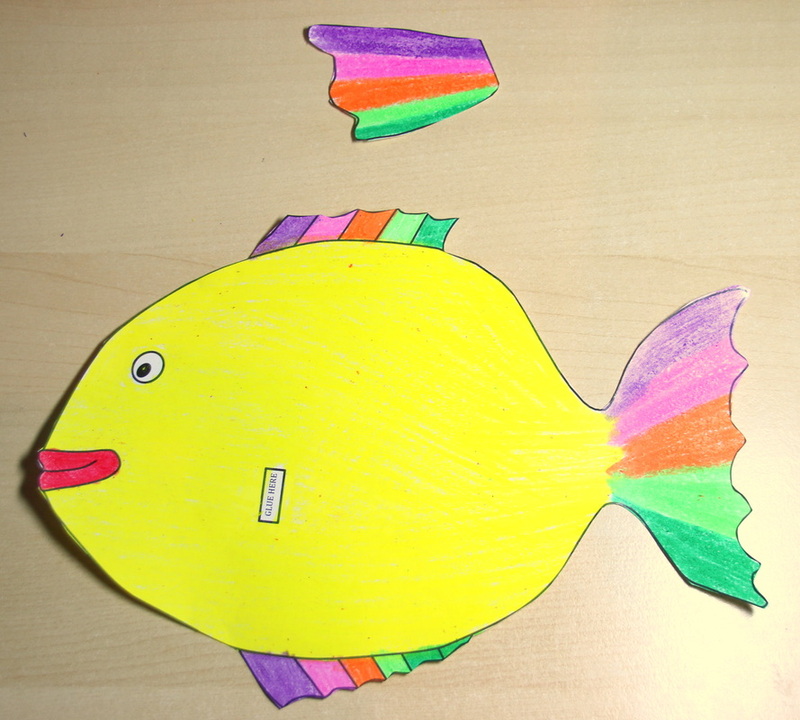 Cut out the fish and fin. 4. 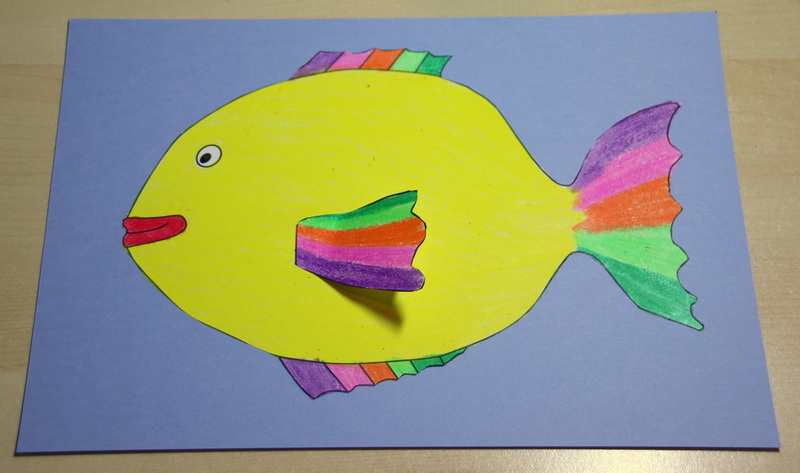 Glue the fish onto the piece of blue A4 paper. 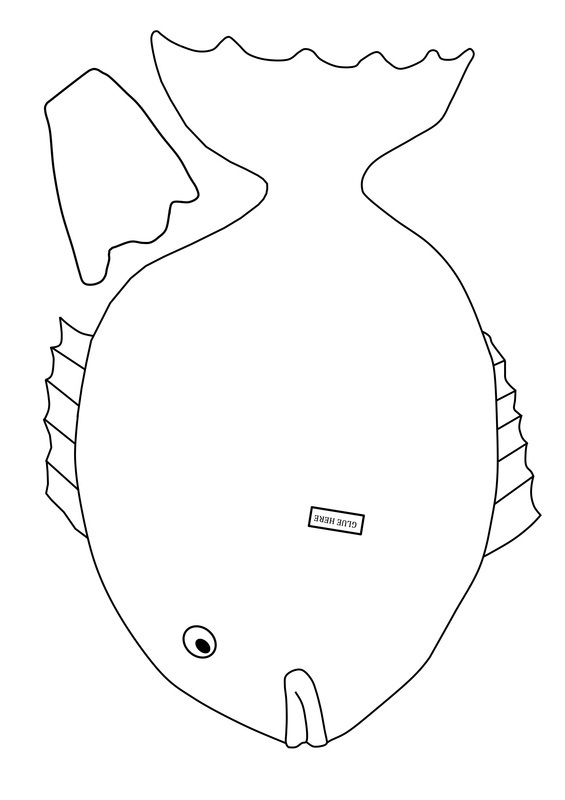 Then glue the fin onto the body of the fish where indicated. 5. Add the google eye and decorate as desired. 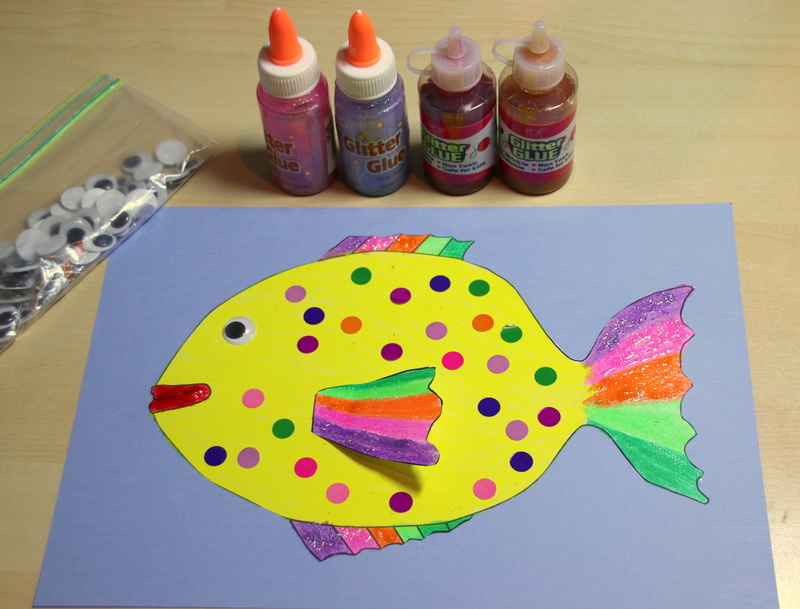 I've used glitter glue and stickers.